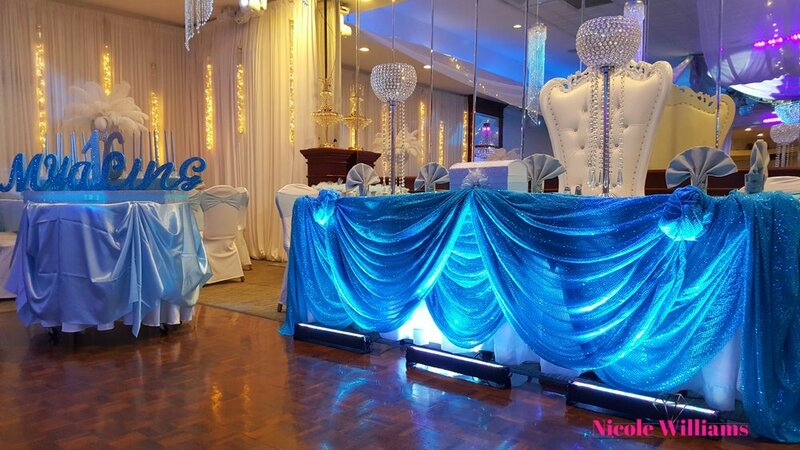 The styling for Mya-Ling's Sweet 16 Masquerade Party was intentionally thought out and pulled together using soft monochromatic baby blue, white tones laced with silver, and a hint of ostrich feathers. We had one goal in mind, prioritize the most important details and don’t' stress the rest, and in the end we had a beautiful affair. There was an element of luxury brought into the design with a beautiful composition of draping that evoked sheer elegance. Mya-Ling's makeup was a soft and feminine look with soft curls and a silver crown. She looked stunning in her white gown and upped the fun factor when she changed into her second dress. There was a beautiful step-and-repeat designed to match the invitation and the with a replica of the guest of honor's mask. We even went as far as ensuring beautiful masks were available for the guests, who had a wide array to choose from. 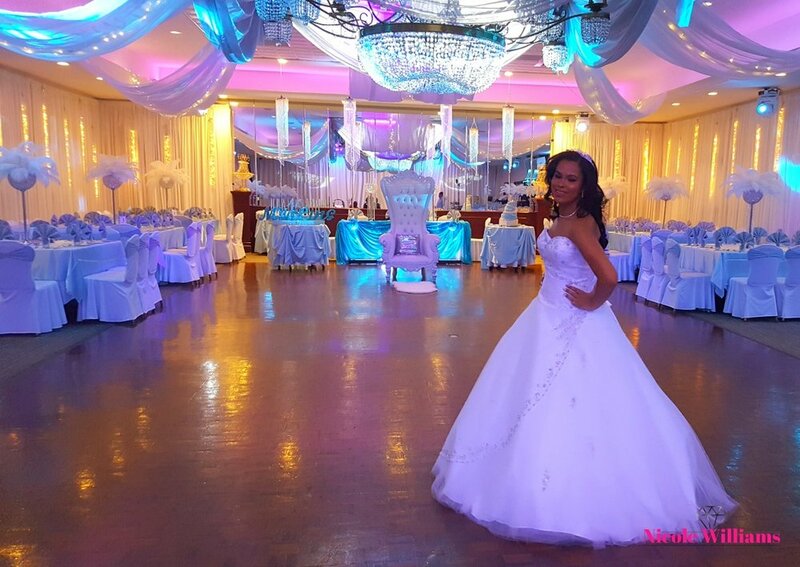 Check out unofficial photos from Mya-Ling's Sweet 16 below.